J. Edgar Hoover signed first edition of ''Masters of Deceit''. New York: Henry Holt and Company, 1958. The FBI Director inscribes the front free endpaper, ''To C.R. 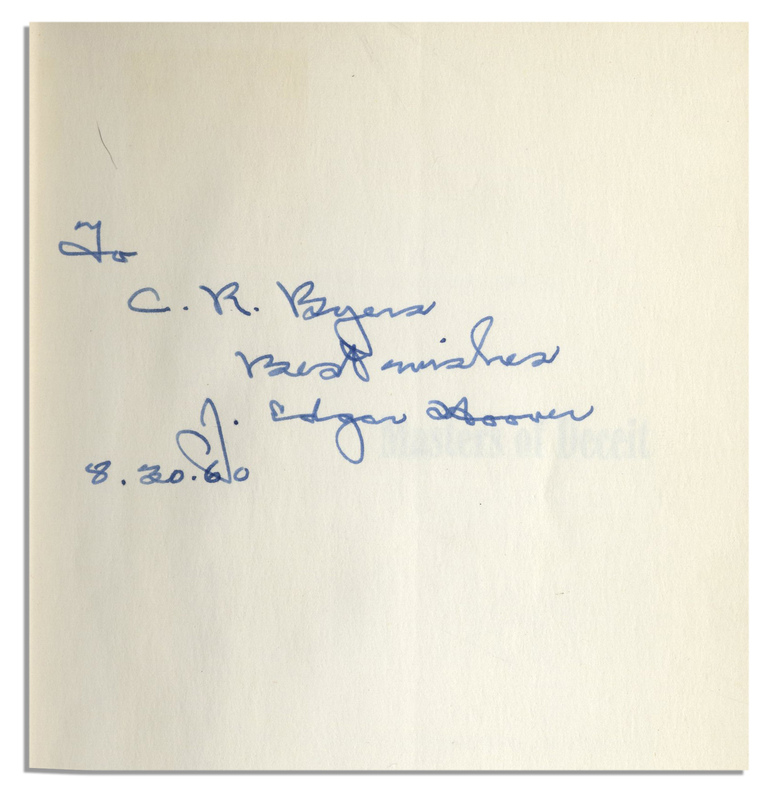 Byers / Best wishes / J. Edgar Hoover / 8.30.60''. In this important 1950s treatise on communism, Hoover outlines five types of ''fellow travelers,'' from the ''card-carrying Communist'' to the ''dupe,'' who inadvertently enables communism. 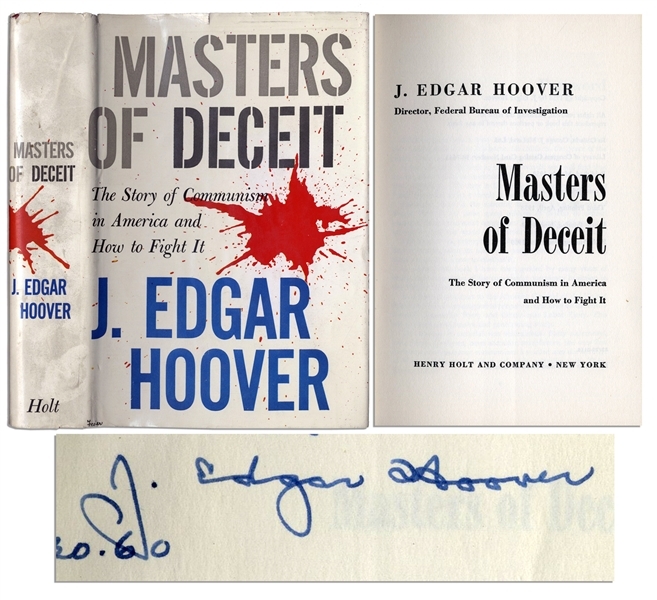 Measures 5.75'' x 8.5'' with original unclipped dust jacket. Some minor chipping to jacket, overall very good condition.